To succeed in school, our students need to be at school. That was our starting point this year when the Community Schools team at Gage Elementary began to look closely at student absences. We found that there are a surprising number of students in the walking boundaries of the school coming late and missing often. When temps drop or we have a snow day, absences go even higher in following days. Our Community Schools team at Gage has developed a model to support students and their families in improving on-time attendance. While it’s only a piece of the pie that makes up students’ success in, and after school, attendance matters. By 6th grade, chronic absence becomes a leading indicator that a student will drop out of high school, according to the Attendance Works, an organization focused on decreasing the impact of absenteeism on students nationwide. Some research shows that students with attendance problems in early years of school are likely to have higher rates of absenteeism in later grades, and students with the highest absenteeism typically scored lower on state assessments[i]. Our Site Facilitator at the school, Kari Kolling-Anderson, looked for the clusters of families nearby and took a leap: she started meeting students on the sidewalk and walking with them to school. She’s a welcoming face and someone they’ve grown excited to see in the mornings. This is called a Walking School Bus, and it is a proven model for improving on-time attendance. 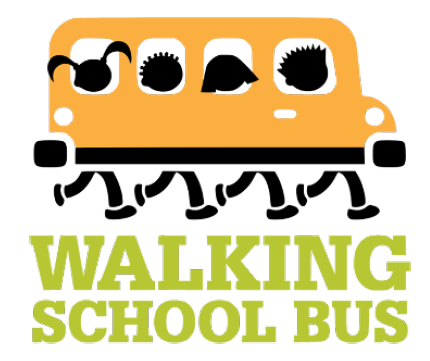 Through the support of the United Way, we will be adding paid staff to the Walking School Bus this year. And, because of our partnership with a local agency, our families will be offered increased supports through a social worker. We are also pushing to increase the safe crossings and the number of crossing guards along the main routes our students take to school. [i] Hart Buehler, M., and Topanga, J., and Chang, H., Why Being in School Matters: Chronic Absenteeism in Oregon Public Schools, Attendance Works, June 2012.